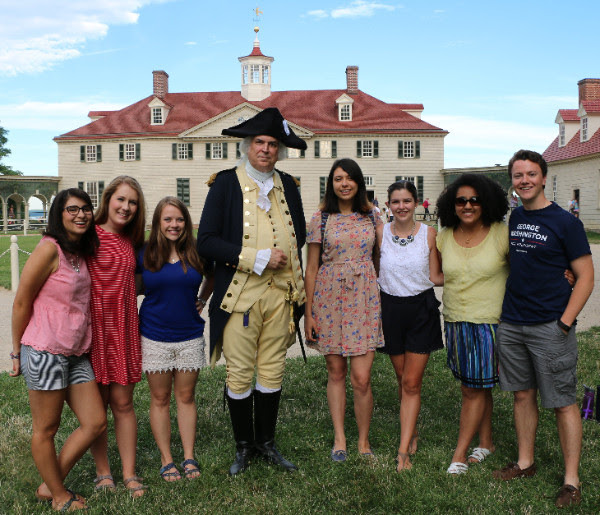 The Mount Vernon Leadership Fellows program is a competitive six week long summer leadership program that takes place just outside of Washington, D.C. at George Washington’s Mount Vernon. The program offers a small, select group of rising college juniors unparalleled opportunities in the nation’s capital and on the famous estate of the first President of the United States. The program is fully funded and offers a $3000 stipend plus room, board and transportation expenses. During your six week fellowship you will engage in dynamic leadership education curriculum, interact with nationally recognized corporate, government, and military leaders in the nation’s capital, and discover how to change the world through self-reflection, exciting experiential activities, and a community service-focused capstone project. Apply today and take advantage of this amazing opportunity to develop a network of professional contacts and become a lifelong member of an engaged community of fellowship alumni. The deadline to apply is January 31, 2018. This year’s program runs from May 26 – July 6, 2018. Please visit the Mount Vernon Leadership Fellows site for more information. The Mount Vernon Leadership Fellows program is a competitive five week long summer leadership program that takes place just outside of Washington, D.C. at George Washington’s Mount Vernon. The program offers a small, select group of rising college juniors unparalleled opportunities in the nation’s capital and on the famous estate of the first President of the United States. The program is fully funded and offers a $500 weekly stipend plus room, board and transportation expenses. During your five week fellowship you will engage in dynamic leadership education curriculum, interact with nationally recognized corporate, government, and military leaders in the nation’s capital, and discover how to change the world through self-reflection, exciting experiential activities, and a community service-focused capstone project. Apply today and take advantage of this amazing opportunity to develop a network of professional contacts and become a lifelong member of an engaged community of fellowship alumni. This year’s program runs from June 4th, 2017 – July 14th, 2017. Please visit the application site for more information and deadlines. The University of New Hampshire’s Sustainability Institute is inviting applications for their competitive, multi-disciplinary Sustainability Fellowships. The program pairs outstanding students with challenging, diverse projects that will propel the U.S. toward a sustainable, resilient future. 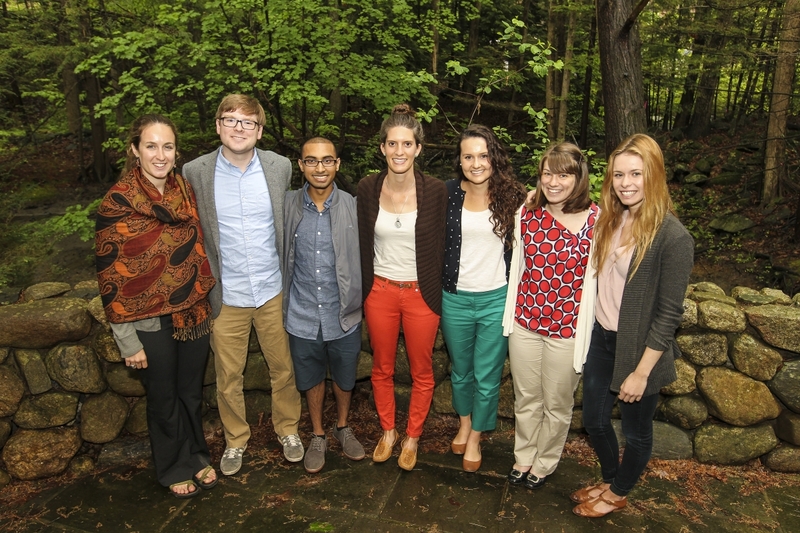 Fellows receive mentorship, unique networking opportunities as well as a $6,000 in exchange for their work on various deliverables. Applications are open to students at both the graduate and undergraduate level. There are opportunities for students studying in a wide variety of disciplines including business, law, education, engineering, public affairs, psychology, social work, public health, economics, English, history, political science, sociology, film, journalism, finance, planning, architecture, public relations, environmental studies, sustainability studies, and more. If you are interested in applying, visit the University of New Hampshire’s site to learn more. Applications close this Tuesday, February 23rd at midnight. The Oak Ridge Institute for Science and Education (ORISE) is offering summer research opportunities at the National Center for Toxicological Research (NCTR) and at the U.S. Food and Drug Administration (FDA). The appointment period is full time and will run for 10 weeks starting May 23, 2016. Applicants must be a U.S. citizen and at least 18 years of age with a cumulative GPA of 2.5 or higher. Majors of study for applicable students include Physics, Mathematics, Statistics, Engineering, Nanotechnology, and Computer Science. The deadline to submit applications is February 19, 2016. Visit https://www.zintellect.com/Posting/details/1683 to apply. 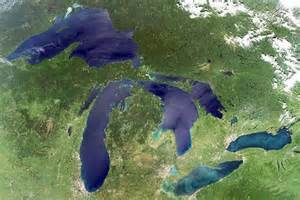 The Cooperative Institute for Limnology and Ecosystems Research (CILER) is now accepting applications for the 2016 Great Lakes Summer Fellows Program. Sponsored by NOAA’s Great Lakes Environmental Research Lab, the program provides motivated undergraduate juniors and seniors as well as graduate students with the opportunity to conduct research on imperative Great Lakes topics. This year there are eight positions available. Underrepresented students in the aquatic sciences are strongly encouraged to apply. The deadline to submit applications for this amazing opportunity is February 26th, 2016. To learn more about the Great Lakes Summer Fellows Program or to apply, visit http://ciler.snre.umich.edu/education/undergraduate-graduate-fellowships. 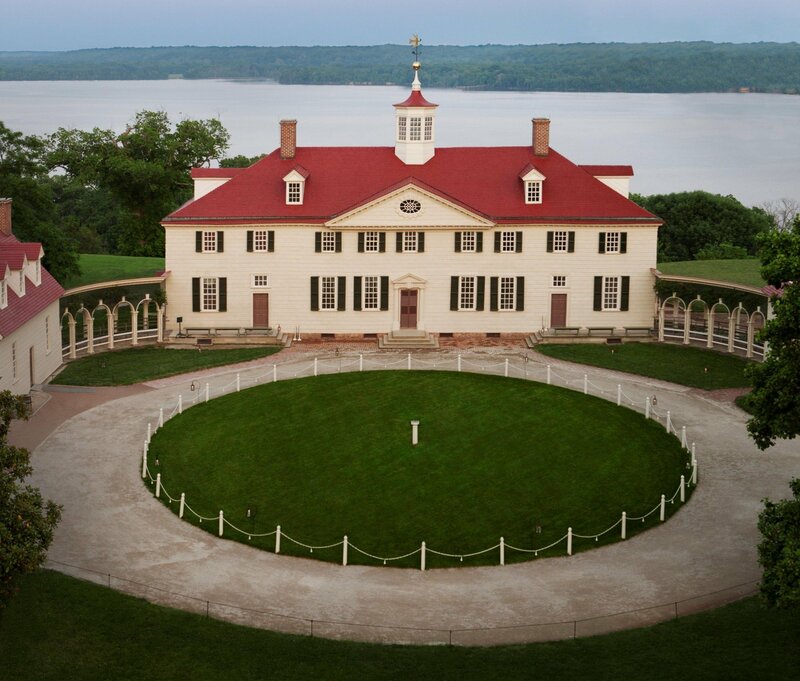 The Mount Vernon Leadership Fellows program is a competitive five week long summer leadership program that takes place just outside of Washington, D.C. at George Washington’s Mount Vernon. The program offers a small, select group of rising college juniors unparalleled opportunities in the nation’s capital and on the famous estate of the first President of the United States. The program is fully funded and offers a $600 weekly stipend plus room, board and transportation expenses. During your five week fellowship you will engage in dynamic leadership education curriculum, interact with nationally recognized corporate, government, and military leaders in the nation’s capital, and discover how to change the world through self-reflection, exciting experiential activities, and a community service-focused capstone project. Apply today and take advantage of this amazing opportunity to develop a network of professional contacts and become a lifelong member of an engaged community of fellowship alumni. Deadline is February 5th, 2016. The AAAS seeks to increase public understanding of science and technology. They recognize the need for scientists who are able to communicate complex ideas to a general audience. The AAAS Mass Media Science and Engineering Fellows Program is a 10-week summer program that places college and university students at all levels of their education who focus on science, engineering and/or mathematics at media organizations nationwide. Fellows use their academic training as they research, write, and report today’s headlines, sharpening their abilities to communicate complex scientific issues to the public. Past AAAS Fellows have worked with such media outlets as the Los Angeles Times, National Public Radio, Philadelphia Inquirer, WIRED, and Scientific American. If you are interested in learning more about this unique opportunity visit the AAAS website. The deadline to apply is January 15th, 2016. True Entrepreneur Corps (TEC), is a ten week summer fellowship designed to help undergraduate college students get a foot in the door in the startup world. TEC Fellows are matched with San Francisco-based companies where they spend the summer working on projects appropriate to their backgrounds and interests (both technical and non-technical). Additionally, the group gathers weekly for workshops and a speaker series to dig into the venture capital and startup processes. TEC 2016 will run from early June to early August and all fellows will be expected to live and work in the San Francisco Bay Area. True Ventures is accepting 12 TEC Fellows for 2016. If you are capable, hardworking and have a passion for technology and entrepreneurship, consider applying for this amazing opportunity. Applications are being accepted until January 31, 2016, however True Ventures encourages students to apply early as the 12 available spots are often filled prior to the deadline. If interested, apply here.